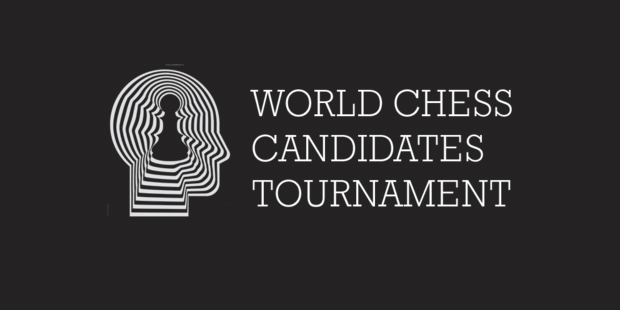 The ninth round of the FIDE Candidates Tournament 2016 took place on Monday 21st March. It would be the final round before the rest day. The round would see Viswanathan Anand take his third win of the tournament, at the expense of joint-leader, Levon Aronian. The Giuoco Piano was Anand’s weapon of choice – I think this opening has been seen more times at this level in the last few months than it has in the last few years put together. Aronian chose to deviate early, his 8…Ne7 instead of the 8…h6 or 8…0-0 seen previously. It did ok for him, though White obtained a slight edge and special advantage, it was nothing to major and as exchanges took place, things evened out. The endgame boiled down to equal material and not very much in the position, really, and the expectations were that the result would be a draw. However, Aronian’s rush to activate and centralise his King, deserted the Kingside somewhat, and gave Anand something to play with. It was very slight if anything, but the former World Champion pressed and probed. Slowly but surely, Black’s position developed some holes. Black’s King travelled from one side of the board to the other, (which seems a little strange, really, and cost some time), while White’s was more productive and gradually made its way up the board. Anand then manufactured connected passed pawns on the Kingside, and soon the Black King was having to come back to defend. The diagram above shows the situation after White’s 53.Rd2, with his King and pawns threatening to travel very rapidly. There came: 53…Kc8 54.g5 Kd7 55.Kg6 and Black had to give up his own passer in order to have a fighting chance, 55…Rxh4. 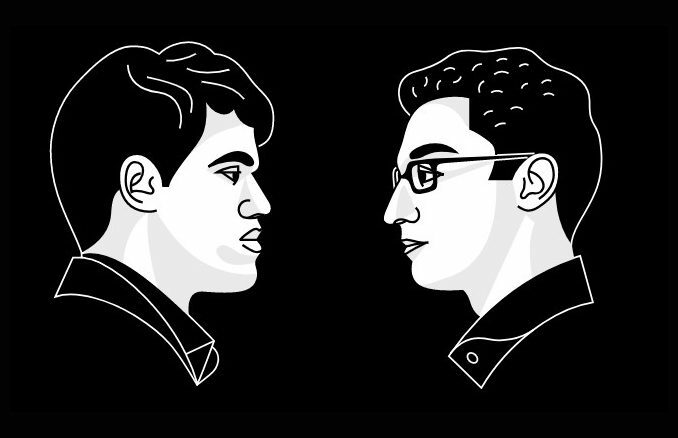 After 56.Rxd3+ Ke8 it was always going to be tough for Black to hold, and though Aronian fought bravely, Anand converted his position and claimed the point. Topalov-Svidler was an Ruy Lopez, Anti-Marshall, which saw Svidler deviating with his 17…d5, (Mortensen-Ahlander, Farum 1993, had seen 17…c5, a win for Black in 35). Some nice, sharp play followed, which saw the game become very open. White held a slight advantage, and the bishop pair, but Black’s central passer and good piece activity was more than adequate on balance. The players tried, but it was very difficult to make progress, and they started to move around a little aimlessly, before splitting the point. The other draw of the round, saw one of the freakiest games of chess ever. 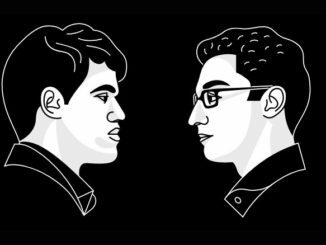 Anish Giri and Fabiano Caruana, the two young whipper-snappers, debated the Grunfeld Defence. The game lasted almost 100 moves before the players would shake hands and share the spoils. However, this is unfathomable considering Fabiano Caruana would make what can only be described as an ‘opening balls up’, that would end up giving Anish Giri a huge initiative. In the diagram position, White has just played 13.hxg6. By all accounts, Black can choose between h and f-pawns regarding the re-capture. Either would leave White with a little initiative, but this cannot be the explanation for Caruana’s choice of 13…Bf5? It has to be said, that the move itself is well grounded, the c2-square being targeted by Black is no small thing. However, can this Queenside possibility be used to any effect worthy of the compromise to Black’s King? From what happens, it seems not. Whether this was a case of getting his preparation wrong, crossed wires, or a spur of the moment thing, White is now able to continue with 14.gxh7+ and this cannot be a good thing. Then came 14…Kh8 15.Rd1 Nc2+ 16.Kf2 Bxe3 17.Qxe3. Giri was two pawns up, and had busted Caruana’s Kingside, and there was seemingly no compensation. When all was put together, Black had to be considered losing. But you know, ‘losing’ in chess is not ‘lost’ and somehow, Giri was unable to convert his advantage. This can probably be attributed just as much to Caruana’s stubborn defence and fighting spirit as it can to any lack of form on Giri’s part. The game will take some analysing, but the Dutchman most certainly missed wins and his 96-moves netted him only a half point. Nakamura-Karjakin saw a Queen’s Indian, in which White got the better of the opening. The players seemed to do their best to make a game of it, but after exchanges there was very little separating them. They each obtained a passed pawn in the endgame, but neither could make it tell and so a draw was declared. They go in to the third rest day, then, with Anand having relegated Aronian to second and joined Karjakin in the lead. All eyes turn to round ten on Wednesday.